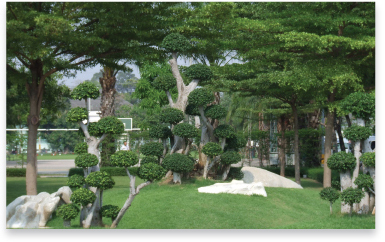 OSI'S facility in Thailand has been designed and developed in compliance with WHO guidelines required for Good Manufacturing Practices to ensure quality of products appropriate to thelr intended use. OSI produces the dosage form which includes tablet, capsule, oral liquid, liquid for external use, cream and ointment as well as powder. 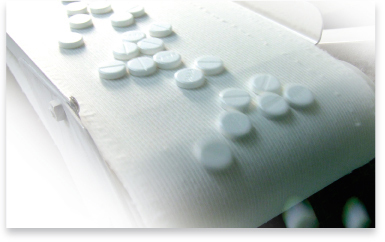 OSI plant has separate and dedicated ares for the production of antibiotic and non-antibiotic drugs. The are equipped with automatic and semi-automatic machinery and equipment and run by a group of qualified, trained and experienced personnel. 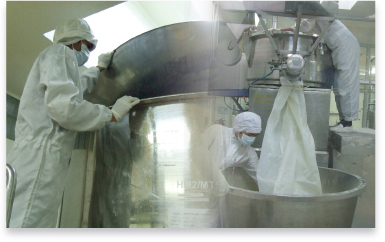 Our plant is famous country-wide for very strict Good Manufacturing Practice (GMP) from the beginning through the end of the manufacturing process. 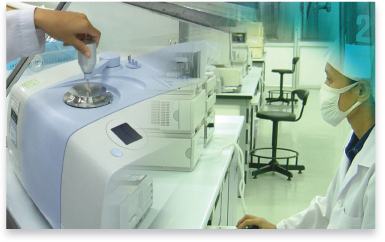 Our production areas have been carefully designed and constructed based on GMP. Production areas are independent of each other to prevent cross contamination and for ease of operation. We select and treat raw materials carefully to ensure the best quality from the beginning All raw material are controlled by our versatile Quality Assurance laboratory. Bar-coded computerized raw materials weighing systems are used to optimize accuracy and potency before entering the production line. design facilities are fully equipped with modern Macintosh and PC. Our designers focus on not only product appearance but also the quality of packaging materials to preserve products quality as long as possible. Additionally marketing printed materials, POP's and Multimendia can be produced to suit each customer needs. The plant is supported by its own maintenance work-shop run by qualified engineers and technicians. It is adequately equipped with engineering machinery and tools required for maintenance work in the plant. The company has an Environment Health and Safety (EHS) policy with the Management and Executive Organisations having defined responsibilities to formulate, plan, and execute programme and review standards on EHS issues in the plant.